Winner of four major awards, this updated edition of Joan Jacobs Brumberg's Fasting Girls, presents a history of women's food-refusal dating back as far as the sixteenth century. Here is a tableau of female self-denial: medieval martyrs who used starvation to demonstrate religious devotion, " wonders of science" whose families capitalized on their ability to survive on flower petals and air, silent screen stars whose strict " slimming" regimens inspired a generation. Here, too, is a fascinating look at how the cultural ramifications of the Industrial Revolution produced a disorder that continues to render privileged young women helpless. 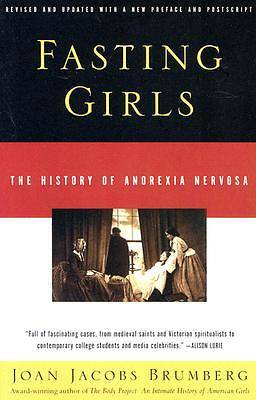 Incisive, compassionate, illuminating, Fasting Girls offers real understanding to victims and their families, clinicians, and all women who are interested in the origins and future of this complex, modern and characteristically female disease.